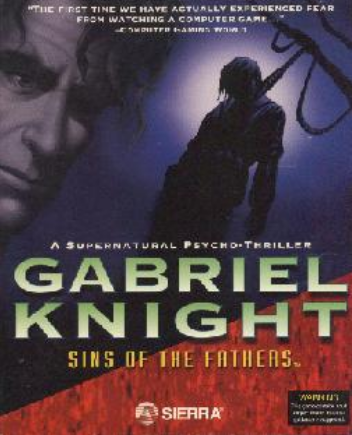 Gabriel Knight: Sins of the Fathers was released on December 21, 1993. It was the first game in the Gabriel Knight series. Gabriel is a writer who is following police murder investigations that have voodoo overtones. He learns he comes from a line of Schattenjägers, or Shadow Hunters, and he is the only one who can stop the voodoo killings. Gabriel Knight 20th Anniversary Edition, a remake with new high definition art, music, and new voices, was released for PC and Mac on October 15, 2014. It's the Mystery Game X that was part of the Pinkerton Road Kickstarter campaign, and was designed by Jane Jensen (the creator of the Gabriel Knight series) through her Pinkerton Road Studio. It has an engine and art designed by Phoenix Online Studio, who also provided the engine and art for Jane's original adventure Moebius.